When it comes to sports contests, the pinnacle of all challenges is unequivocally the NCAA Tournament. It's virtually impossible to pick a perfect bracket during the entire 63-game portion of the tourney. Heck, finding a way to keep a couple of your teams alive for the final week of the Dance is hard enough. But fear not, you can find solace in piecing together the best bracket in your pool. Do that and you'll have bragging rights over your buddies until next March’s Madness rolls around. A March Madness Bracket Contest is incredibly simple. You'll start with a bracket that lists all 64 teams in the field, and it's your job to pick the winners of each game in the first round and the winners in each subsequent round up through the National Championship Game. Each correct pick earns you points towards your total score. The deeper into the tourney you go, the harder it gets to predict winners and the more points you get for each correct pick. But be forewarned! If your National Championship winner loses in the first round of the Dance, your bracket could be in the trash can before you get off work on Thursday. Each March Madness Bracket Contest will be a little different based on the settings that your League Commissioner chooses. 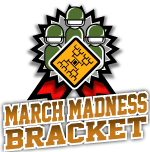 Some bracket contests reward bonus points for upsets or hand out a disproportionate amount of points for correct picks later in the tournament. Does Contest General Offer White Label Skins for March Madness Bracket Contests?